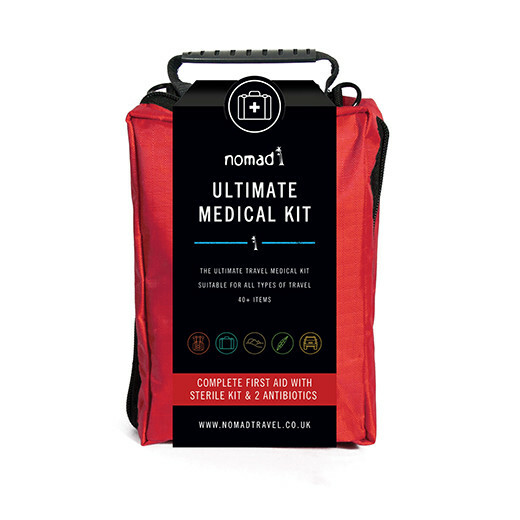 Specially prepared by Nomad Pharmacists, the Ultimate is the only medical kit an independent traveller will need and the go-to medical kit for staying healthy on your adventure. Packed with loads of first aid, sterile equipment & travel medicines, the Ultimate Medical Kit gives you peace of mind whatever happens on the road. The Ultimate Medical Kit is an improved replacement to the Independent Medical Kit. The Ultimate Medical Kit is the Nomad Pharmacy premier ready-made personal medical kit covering an immense range of travel health related treatments. Take this medical/first aid kit if you are planning to be away for a long time or travelling to remote areas where you have no immediate access to medical assistance. Why have we upgraded this kit? Our expert Travel Nurses consult with travellers daily and know what you expect to find in your travel medical kit. Feedback from our Nurses indicated that the Ultimate Medical Kit needed a more versatile antiseptic than usually available in travel medical kits. As such, we have added Iodine liquid, an antiseptic with a range of applications. 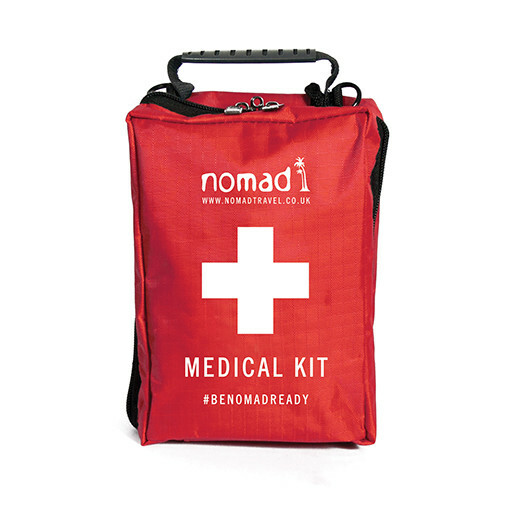 This was specially made by Nomad for the Ultimate Medical Kit and is not available in any other travel medical kits on the market. We have also added an antiseptic Inadine dressing, which is also not included in other kits. Feedback from Nurses also told us that the kit lacked the tools required to carry out first aid. We added scissors and tweezers so that travellers do not need to take any extra items with them. Why Choose the Ultimate Medical Kit? What else does the Ultimate Medical Kit cover? Antibiotics: Travellers diarrhoea can affect over 50% of travellers on longer trips, usually it is mild and will get better on its own after a day or two but sometimes its more severe and treatment with antibiotics would be indicated. Our own research also shows that when seeking medical attention abroad, the most likely outcome is treatment of the condition with antibiotics. We also know that the standard of medicines in developing countries can be well below that expected of UK medicines. This kit offers antibiotic treatments for common travellers ailments, and the reassurance that the medicines to be used are of UK quality. The kit contains two antibiotics- one for the treatment of travellers diarrhoea and another broad spectrum antibiotic for the treatment of ear, chest and sinus infections. These antibiotics are for your use only, and their suitability for you and your trip will be assessed by our pharmacists and prescribed accordingly. They are for use outside of the UK only and should be used following discussion with a local physician wherever possible. Dehydration: Getting hot and sweaty or suffering from diarrhoea will dehydrate you, which in turn can cause further problems such as heat exhaustion and dizziness. Usually increasing your fluid intake coupled with some salty food is sufficient, but sometimes using a rehydration solution, designed to aid optimal absorption of fluids and salts is best. This kit contains 6 of them as well as loperamide that can temporarily slow down or halt diarrhoea if it is becoming a problem. Pain Relief: this kit contains paracetamol which can be used to reduce a high temperature as well as for the general aches and pains of everyday travelling whilst being gentle on the stomach as well as Ibuprofen anti-inflammatory tablets. Burn Treatment: the burn gel found in the kit is similar to that carried by paramedics. 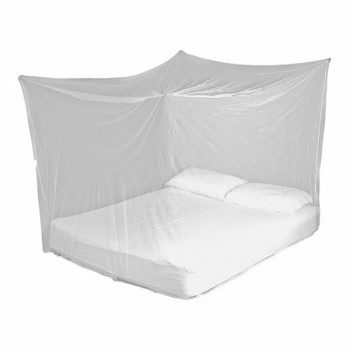 It can reduce the pain and damage of all manner of burns such as sunburn, scalds or mild fire burns. First aid: cuts and grazes are an inevitable fact of travelling life. Cleaning and treating small wounds quickly will go a long way to preventing them become a much more serious ulcerated or infected sore. Your personal kit contains a decent supply of different types of dressings from plasters to larger non adherent dressings, sterile cleaning wipes, a strong antiseptic liquid and an iodine impregnated dressing for infected wounds. Dust is another common problem whilst travelling and your Ultimate Medical Kit contains a saline eye and wound wash should your eyes be affected. Anti-fungal treatment: Any situation where you frequently become hot and sweaty and have limited personal or clothes washing facilities gives a perfect environment to develop fungal infections such as athlete’s foot or dhobi itch. The quicker these infections are treated the better! Allergic reactions: Some people react to insect bites, some to plants and other environmental elements. The Ultimate Medical Kit contains anti-histamine tablets to deal with this quickly. Skin eruptions: For conditions such as dermatitis, eczema and insect bite reactions – all common travelling conditions – the Ultimate contains a stronger hydrocortisone cream. Water purification: Travel related illnesses such as diarrhoea and vomiting are often caused by contaminated water. Chlorine tablets are a quick and effective way of ensuring your drinking water is always clean, even where bottled water is not available. 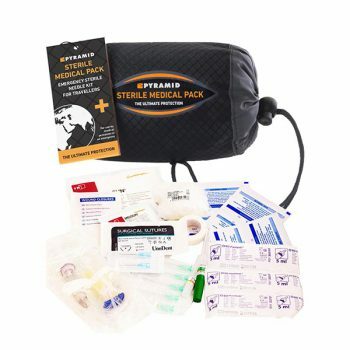 Sterile kit: Your Ultimate Medical Kit contains a small injection kit for use by medical professionals where sterile equipment is either in short supply or contaminated by reuse. There are many situations where sterile equipment may be needed – pain relief and fluid replacement are the most common when travelling. The Ultimate Medical Kit is suitable for 2 persons with the addition of extra rehydration sachets, pain relief and loperamide. Remember to add enough of your own prescribed medicines for the duration of your trip. ALWAYS keep the original packaging or pharmacy dispensing label in case you need to restock. The Ultimate Medical Kit is our premier all-in-one kit covering an immense range of travel health related treatments. 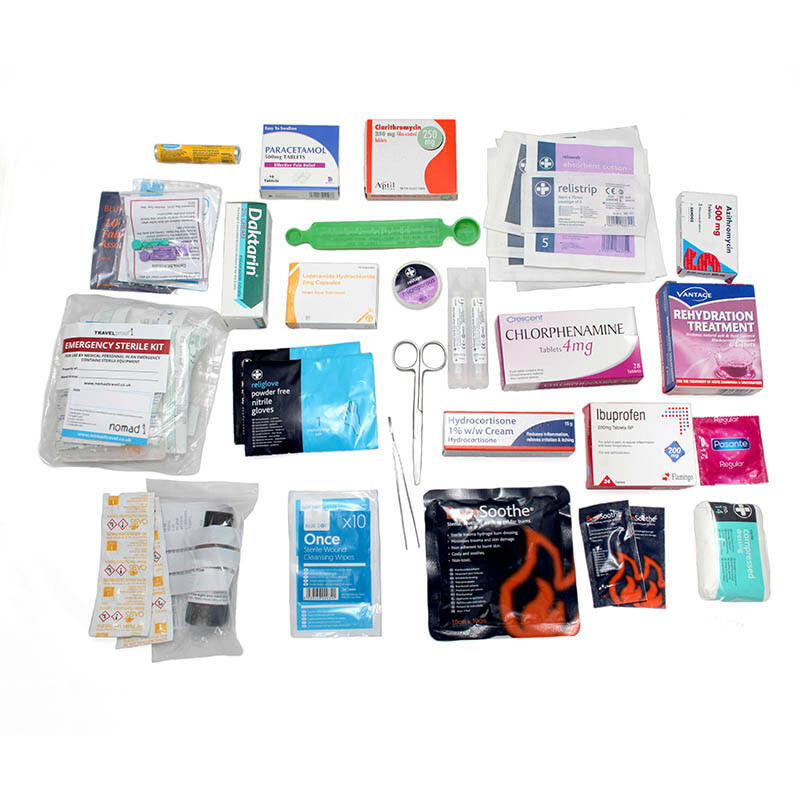 Take this medical/first aid kit if you are planning to be away for a long time or travelling to remote areas where you have no immediate access to medical assistance. This kit contains at least one pharmacy or prescription only medicine. To ensure your safety, you must the Online Consultation that is part of the checkout process before your order can be dispatched. Our pharmacist may still need to contact you so please ensure you provide a suitable contact telephone number. Please note the pharmacist will not be able to release your medical kit without a completed the Online Consultation. Express delivery option cannot be guaranteed with pharmacy medical kits.